The Franna is a versatile work horse that is capable of moving heavy loads, accessing confined areas and any general purpose crane work. The Franna is one of the most sought after cranes in the industry. Whether you need to relocate machinery, move materials around a construction site or lift a boat into the water, the Franna is often the perfect crane for the job. 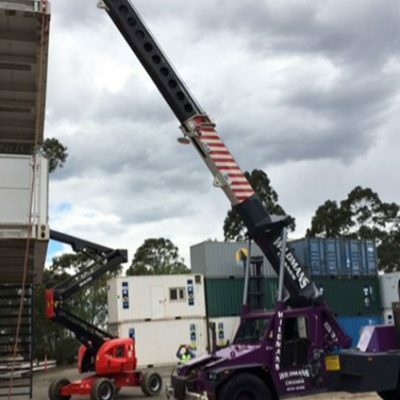 Wildmans Cranes has a long history of uplifting the people of Sydney, with our over twenty years of combined experience in hiring out crane services. We particularly specialize in hiring out cranes, among the most sought-after products in any industry that needs plenty of heavy lifting. Read on to find out more about Franna cranes, and why our expertise with them is perfect for your project. Back in 1980, engineer David Francis had a vision of a crane that had the form factor and maneuverability of a truck, but still maintained heavy lifting capabilities even without outriggers or supports. He started a company called Franna, a name that came out of combining his surname Francis, with his daughter’s name Anna. 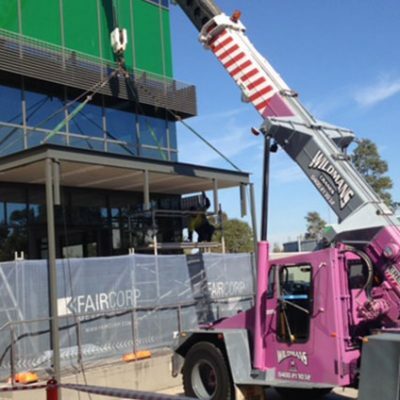 Almost four decades later, Franna cranes are a ubiquitous sight in job sites around Australia. While the original company has since been taken over by American manufacturer Terex, the “Franna” name lives on in each of these so-called “pick and carry” designs. The sheer versatility of Franna is unparalleled. They come in a huge variety of sizes, from tiny load lifters to 25-Tonne beasts. Due to their articulated steering design, they’re able to move around very tight job sites, squeezing into places that other larger cranes couldn’t. However, they remain capable of carrying heavy loads, and can do so while simultaneously maneuvering around a site. Because they lack outriggers, their setup time is much quicker than other cranes, reducing downtime as they reposition. They also travel quickly on roads, negating the need for additional transportation. 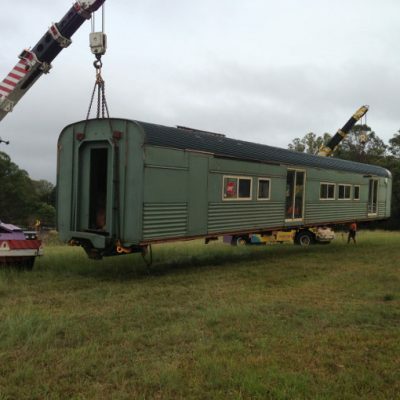 Why Use A Franna Crane? They are highly optimised for the Australian market, with particular benefits in using them for the many mining and industrial sites around the country. 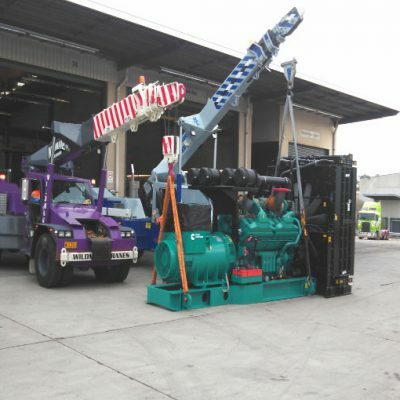 Due to their excellent maneuverability and small footprint, Franna cranes are perfect for small and cramped sites in which larger, bulkier cranes simply wouldn’t have room to move around. The design also makes it an exceptional taxi crane. Its low axle weight allows it to travel on most roads, while high road speeds ensure that it gets to the site as quickly as possible. Taxi cranes are an incredibly important part of any crane fleet, as they can be rapidly deployed and sent to each site without additional transportation equipment. As the development of sites expands farther and farther outside city limits, these taxi cranes are only going to grow in importance. 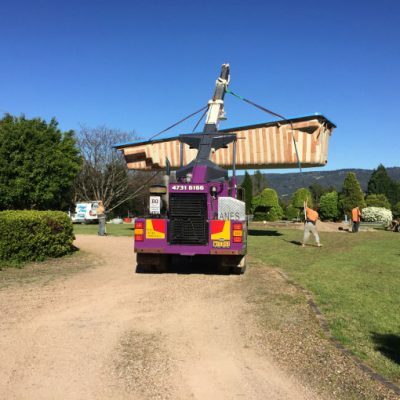 Franna cranes have largely supplanted smaller cranes carried on trucks, as they have greater performance and versatility in a single efficient package. As one of the most flexible and in-demand crane vehicles in the industry, the Franna is an integral part of any crane hire fleet. 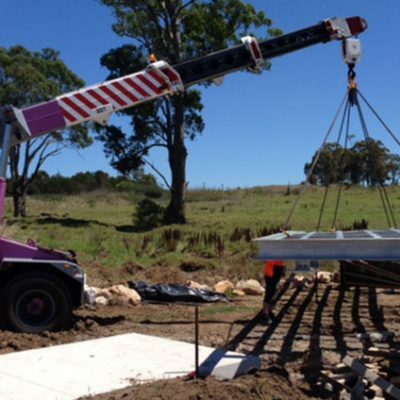 Wildmans Cranes has extensive experience with Franna cranes, and our licensed and highly trained operators will be able to get the job done with record efficiency, no matter the task. 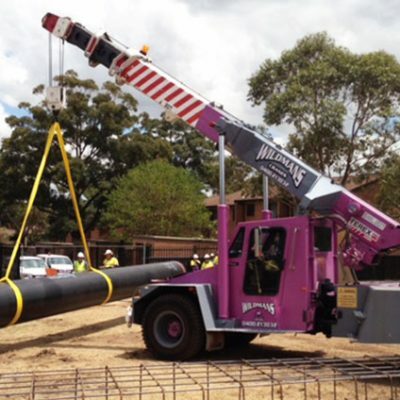 If you need a Franna crane and operator for your Sydney site, look no further than Wildmans Cranes. Call us now for a free quotation—our upfront pricing ensures that you’ll never be blindsided by sticker shock.